Your safety during the Race is very important to us. That’s why roads leading to Padang Merbok will be partially closed on 8 January 2017 between 6:30am and 9:30am. The affected roads include Jalan Sultan Salahuddin, Jalan Parlimen, Jalan Tun Ismail, Jalan Tunku and Jalan Berjasa. Rest assured that we are doing our best in preventing accidents from happening so you can focus on the Race! Consider staying overnight within walking distance to Padang Merbok such as at Pacific Regency Hotel Suites, our Hotel Partner! 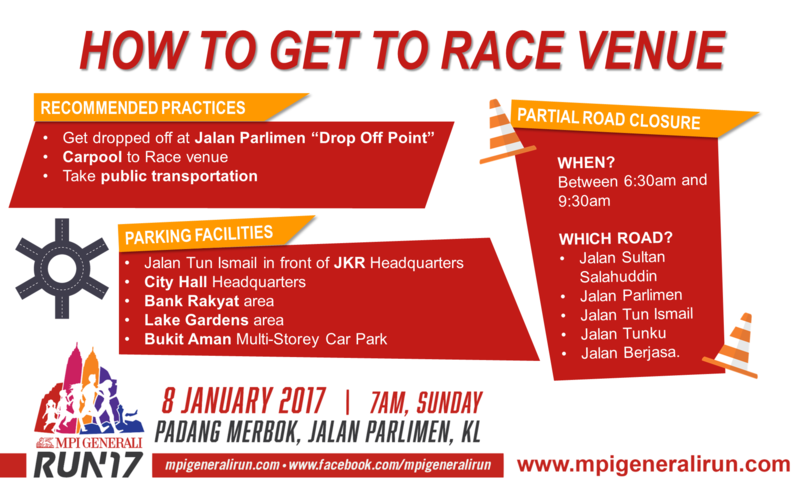 Please note that Padang Merbok Car Park is closed for the Race. 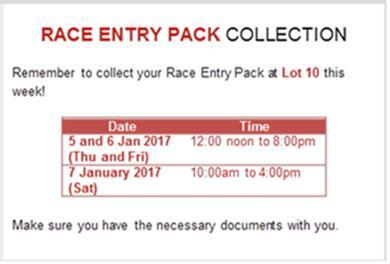 Remember to collect your Race Entry Pack at Lot 10 this week! Make sure you have the necessary documents with you. Bring along your pre-loved sports shoes and tees when collecting your Race Entry Pack because we’ll be collecting them for the Orang Asli community under Project Good Deeds! Our CSR initiative seeks to reduce the impact of solid waste on the environment by recycling. Be eco-friendly and do a kind deed at the same time! We look forward to kickstarting the new year on a healthy footing with you on 8 January 2017! See you soon! 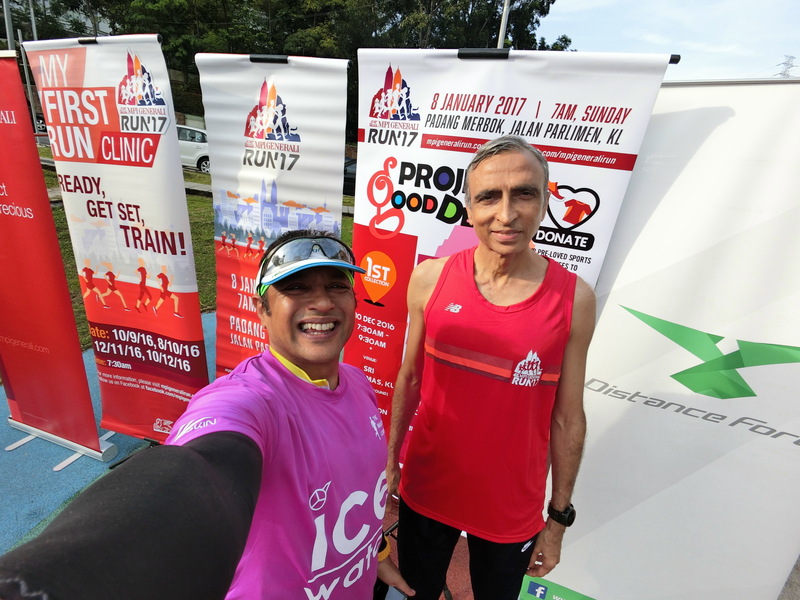 This entry was posted in 10km, 2017, Casio Exilim Malaysia, Costume, donation, Family, Fitness, Fun Run, Happy Runner, health, January, Kuala Lumpur, Media, Padang Merbok, Road Race, Runners, Running, Running Clinic, Running Event, Running Tips, Safety, tips, Women and tagged 2017, Casio Exilim Malaysia, happy runner, January, Media, MPI GENERALI RUN, Padang Merbok, Running. Bookmark the permalink.